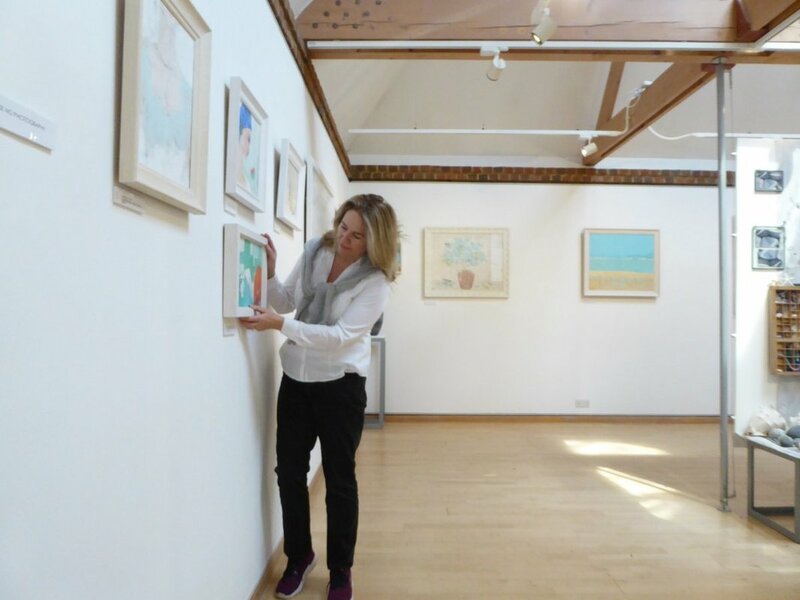 Claire Hardwick-Wilson is a successful contemporary artist and marblist living in Surrey, who displays her work through regular exhibitions. Greetings cards based on her original paintings are available to the public through the Royal Horticultural Society (RHS) at Wisley and other outlets. Fortunate enough to spend a childhood growing up in the South of France and Portugal, later in Rome and beyond, Claire's work is influenced by the diversity and complexity of nature. Her technique of using a palette knife to build texture and her use of vivid colours bring a strong sense of identity and uniqueness to her work. Claire creates canvases for individual clients, galleries and commercial projects from her studio outside London. Browse examples of Claire's artwork. Contact Claire to commission a painting. With exquisite detailing and attention to detail, Claire has worked on some of the foremost properties in England and abroad, bringing exceptional finishes to staircases, columns, mirrors, balustrades, fireplaces, pool surrounds and classical sculptures. Claire trained at the Hampstead school of Decorative Arts, before moving to Rome where she perfected her knowledge by studying varied marbles close at hand. By understanding the geology of a stone and using specialist tools such as feathers and glaze, and building on her skill as a colourist, Claire is able to accurately mirror any marble. Browse examples of Claire's marbling work. Contact Claire for a quotation.